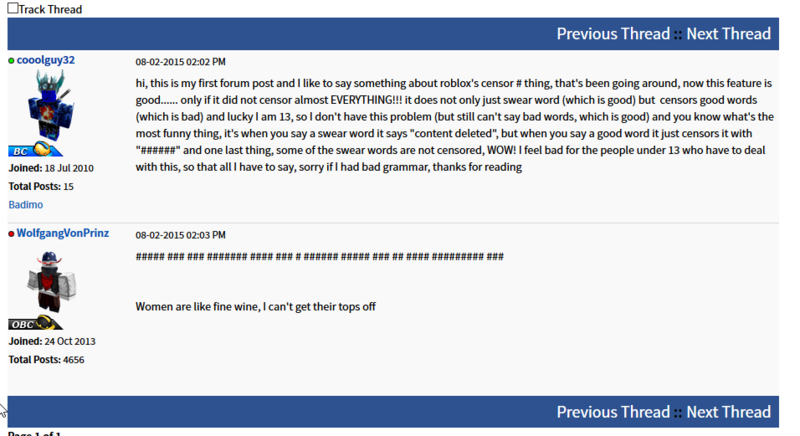 "We believe the Roblox public forums are no longer capable of providing a positive environment and have been proven to be prone to excessive abuse." I made nearly 11 thousand posts on the forum. Glad to see they're all be gone in 7 days since read only just isn't enough. At least I'm far safer against from getting moderated over a post I made in 2012. Also goes to show how much data can get knocked out with only a 7 days notice from read online to deletion - ~228 million posts are going to be gone; that'll be fun to try to archive in 7 days (>95% of it won't be missed though). 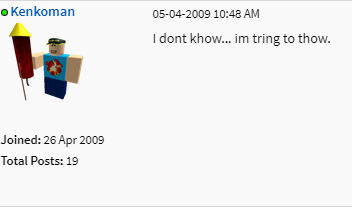 The ROBLOX forums sucked, they kept giving me warnings for 'flaming'. Does anybody remember SFOTH: Japan? I also remember an ocean version of SFOTH. 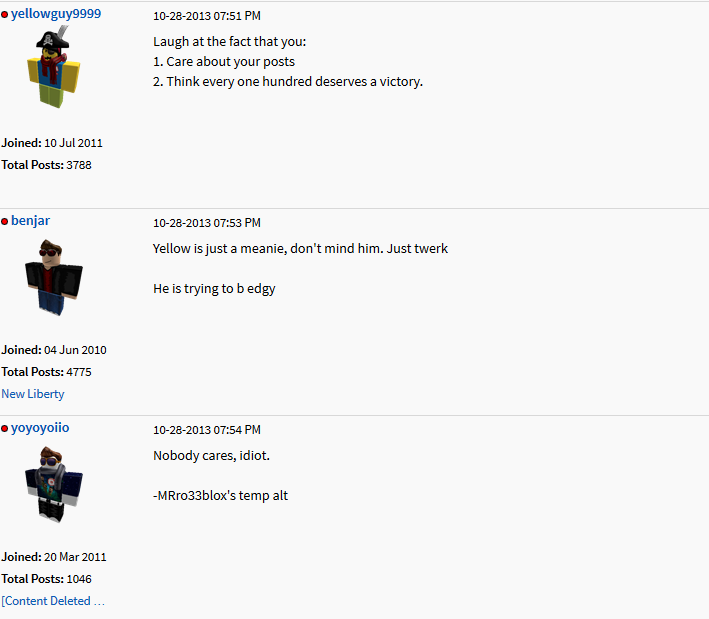 The Blockland Forums are way better anyways, why go to the roblox forums? 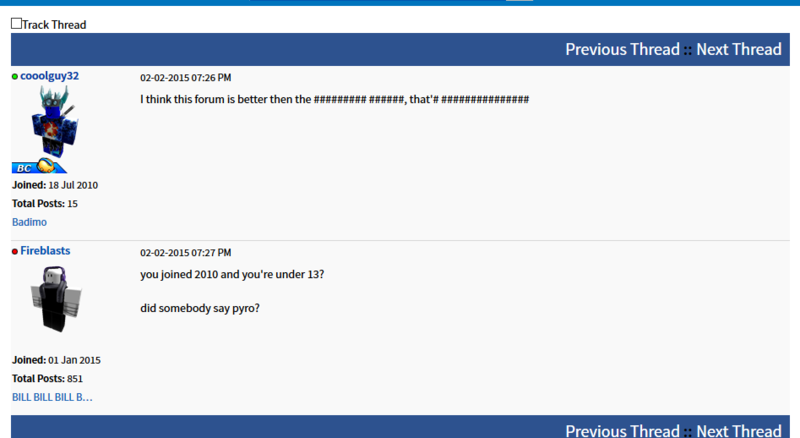 I should be angry that the forums are going away, but really I'm not. The only things of any worth were the S&I and C&G boards, and we all know the developers didn't even listen to anything on the S&I board and the C&G board was stuffpost central. 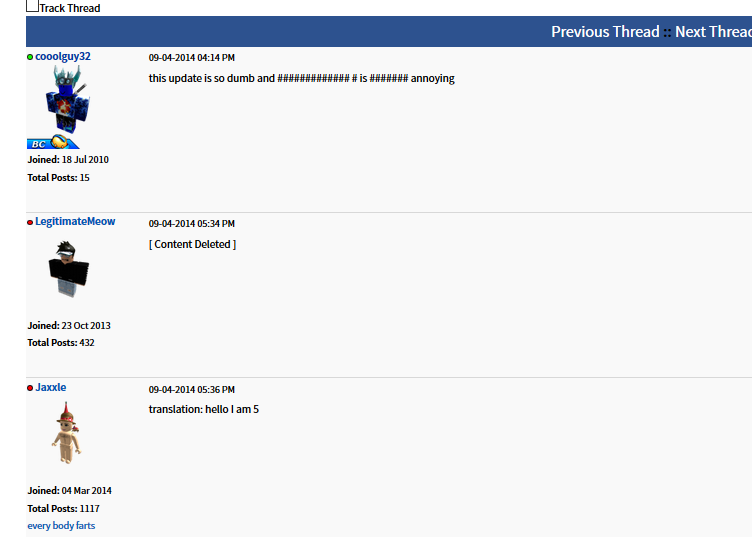 Good times, sure am sad to see the rest of the forums go away too. pretty stupid am i right?